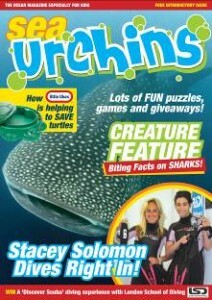 Published on: July, 5th 2011 – By Juliet Eilperin, Whashington Post – Bahamas bans commercial shark fishing . The Bahamas announced Tuesday morning it would end all commercial shark fishing in its waters, an area that encompasses more than 240,000 square miles. The move — under which only the catch and release of sharks is permitted — marks the second time in two weeks that a Caribbean nation has enacted broad protections for sharks in its exclusive economic zone. Honduras instituted a total ban on shark fishing in its waters June 24. Roughly 40 species of sharks swim in the waters of the Bahamas, which is heavily dependent on tourism. 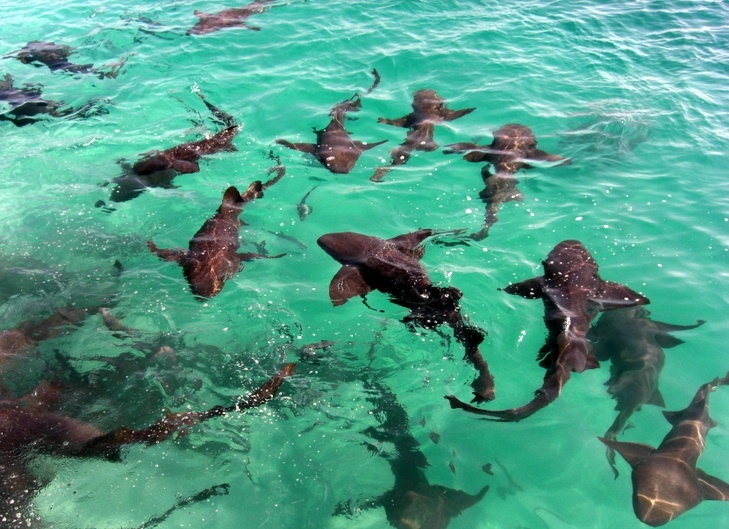 Eric Carey, executive director of the Bahamas National Trust, noted in a recent interview that tourism accounts for 60 percent of his nation’s gross domestic product, and shark tourism alone generates $80 million in annual revenue. Last fall a seafood export firm in the Bahamas raised the idea of catching sharks to meet the global demand for shark’s fin soup, which sparked a major public relations and lobbying campaign aimed at enacting a shark fishing ban. The Bahamas prohibited longline fishing in 1993, which helped maintain the region’s healthy shark populations. “We started realizing we had to start protecting the sharks,” said Carey, whose non-governmental organization manages the Bahamas’ national park system. The Bahamas National Trust, along with the U.S.-based Pew Environment Group, sponsored a petition drive, televised public service announcements and distributed posters and T-shirts. 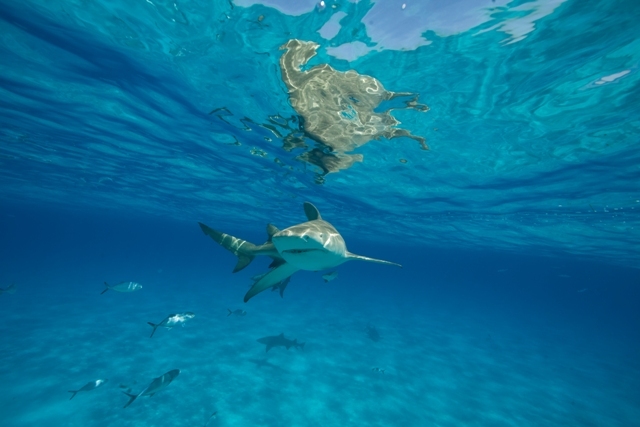 Several international shark advocates — including Pierre-Yves Cousteau, the son of Jacques Cousteau, artist Guy Harvey and Sherman’s Lagoon cartoonist Jim Toomey — visited the Bahamas to push for the ban. Some shark researchers, however, warn that these bans will not achieve their aims unless there is adequate enforcement along with outreach to local communities. But Cartwright said many of the Bahamas’ 300,000 residents have come to embrace shark conservation, noting that 5,000 residents signed a petition supporting the new restrictions. “As far as we’re aware, there is wide support for it,” he said in a phone interview after the press conference. Cartwright added that the Bahamas Defense Force, which has three installations throughout the islands and is establishing a fourth, will enforce the new law. He added that fishing vessel operators, who all have cellphones on their boats, are likely to report any violations of the regulations. “Our fishermen are our greatest resource, in terms of enforcement,” he said. Published on: June, 30 2011 – By Juliet Eilperin, Slate Magazine – Shark’s fin soup, China, and the GDP: Why protecting sharks is good for the economy. Which is better for sharks, communism or capitalism? You have probably not given a moment’s thought to how ideological leanings affect the creatures that have swum in our oceans for nearly 400 million years. But it turns out that the transition between economic systems—from barter economies and feudal ones, to communism and capitalism—have had profound impacts on great whites, whale sharks, and a host of other sharks. The state of the Chinese economy didn’t really matter to sharks until a thousand years ago. (That’s a blip in time, from the sharks’ perspective, given that they emerged during the Devonian period.) During the Sung Dynasty, between 960 and 1279, a small group of elites began consuming noodles made from the cartilage in sharks’ fins, a dish known as shark’s fin soup. The dish gained popularity during the Ming Dynasty in the 15th century, when a Chinese admiral named Cheng Ho traveled to Africa and brought back fins that African villagers discarded in favor of the meat. Shark’s fin soup became a standard offering in formal banquets during the Ming Dynasty. But after Mao brought the Chinese Communist Party to power in 1949, shark’s fin soup fell out of favor. As a delicacy enjoyed by elites, it became politically toxic during the Cultural Revolution. “Although it was never outlawed, it was frowned upon,” is the way Susie Watts, an adviser to the Humane Society International based in Britain, puts it. That began to change in the late 1980s, when Deng Xiaoping instituted his market reforms. The economic changes spawned a new upper and middle class in China, and members of both groups sought ways to display their wealth. Buying art (including pieces produced by Deng’s daughter) was one way; eating shark’s fin soup was another. As China’s economic power has grown, so, too, has the targeting of sharks worldwide. According to scientists, between 26 and 73 million sharks are killed every year for their fins, which sell for 100 times the cost of shark meat. It is a required item at almost any wedding banquet or important business meal in China. And as with so many products in capitalist society, it’s gone downscale as it’s proliferated. It’s no longer just a fancy soup: There’s shark’s fin sushi and a pillowy white cake in Japan made from sharks known as hanpen; spiny dogfish sharks are made into fish and chips for British consumers; and shark’s fin cat food is even sold in some markets. Last week, a group of ocean scientists released a report concluding that the sea is in much worse shape than previously thought. Noting that we are now observing the kinds of disruptions “associated with each of the previous five mass extinctions on Earth,” the report’s authors warn that we need to reassess the way we use the ocean to meet our financial needs and desires. “It is clear that the traditional economic and consumer values that formerly served society well, when coupled with current rates of population increase, are not sustainable,” they write. Perhaps Mao was on to something. It may be that community-oriented property laws provide a better model for how to treat the sea. Several island cultures operate on the principle that tribes own the rights to coral reefs off their coasts. As I write in my new book, Demon Fish: Travels Through the Hidden World of Sharks, this has allowed the villagers of Selpele and Salio in Indonesian Papua to create marine reserves that harbor sharks as well as a stunning array of other species. Palau’s president Johnson Toribiong invoked this tradition when he created the world’s first shark sanctuary in 2009. Toribiong explained he was imposing the same sort of “bul”—a prohibition on exploiting natural resources—that Palau’s tribal chiefs imposed in ancient times. This is not to say that socialist-style methods are always a boon to sharks. Cuba reports that it lands 700 tons of sharks a year, which is only a little less than the entire commercial shark fishery in the southeastern United States. And Honduras—which is governed by conservative president Porfirio Lobo Sosa—just created the world’s third shark sanctuary when he permanently banned shark fishing off his nation’s 92,665-mile exclusive economic zone on its Pacific and Caribbean coasts. And now environmentalists are trying to use capitalism to make the case for shark conservation. A recent Australian study found that, over the course of its lifetime, a reef shark off Palau brings in $1.9 million to the nation’s economy, and shark tourism brings Palau $18 million annually. Matt Rand, who directs global shark conservation at the Pew Environment Group, said people are beginning to rethink how they can profit from these terrifying creatures. Shark economics may defy neat ideological categories, but there’s one simple and surprising rule that applies: They’re worth more alive than dead.